Murphy Oil Corp said on Thursday it is exiting Malaysia with the $2.13 billion sale of its oil and gas assets to a Thai company and will use the deal proceeds to pay down debt, buy back shares and fund potential deals in the United States. The buyer, PTT Exploration and Production Public Co Ltd, will also pay Murphy up to $100 million in bonus if certain exploration projects show results before October 2020, the company said. The deal follows moves by other U.S. oil majors to focus their investment and effort in high-yielding shale fields at home after U.S. oil production rose to a record high of 12 million barrels a week. In February, Houston based Marathon Oil Corp said it would exit the United Kingdom's North Sea oilfields, deciding to focus on the United States instead. Murphy, which also has operations in Canada, Brazil and other regions, said it will focus on the Western Hemisphere - mostly Texas' Eagle Ford basin and the U.S. Gulf of Mexico - for future exploration and production deals. "We expect to generate approximately $1.2 billion of free cash flow (FCF) at a flat $55 West Texas Intermediate price," Chief Executive Officer Roger Jenkins said on a call with analysts. Futures for light crude were trading at around $60 per barrel on Thursday morning. Analysts at Goldman Sachs said meeting its cash flow objective would be key for the company, especially since offshore projects are costly. "As such, the company's outlook for FCF is greater than our estimates," analyst Brian Singer said, but did not specify what his estimate was. 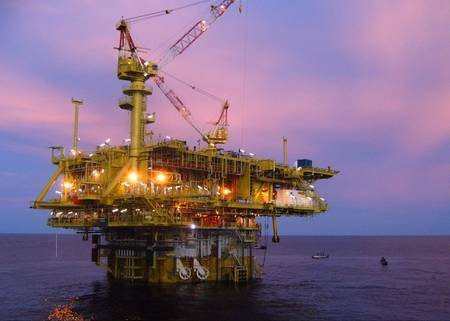 Murphy had proven reserves of 816 million barrels of oil equivalent (Mmboe) in 2018, of which 129 Mmboe were from Malaysia. Those assets produced over 48,000 barrel of oil equivalent per day for Murphy. The company also announced a $500 million share buyback as well as debt reduction of about $750 million. The company had about $3 billion in debts as of Dec. 2018. The deal is expected to close by the end of the second quarter. Bank of America Merrill Lynch served as advisor to Murphy and Tudor, Pickering, Holt & Co. was its financial advisor. Jefferies Group LLC was the financial advisor to PTTEP. Murphy shares were trading flat at $30.73 amid a slight fall in crude prices.